If you are a true world traveler then you know that plugs are different in different countries and that is why you will need this Epicka World Wide Travel Adapter With USB Charger. The travel adapter offers sliders on the side with so that different plugs show up on the bottom while you can plug your power plugs in the top. There are also 4 USB plugs on the side that offer at least 2.1amp for charging your phone, tablet and anything else that runs on USB power. The world wide travel adapter comes with a case and a a USB cable and it even comes with a spare fuse if something ever would go wrong. 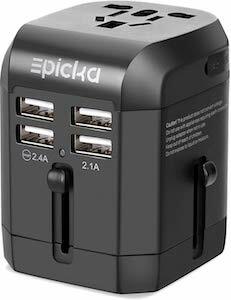 So get ready to add this suitcase by ordering your Epicka World Wide Travel Adapter With USB Charger. 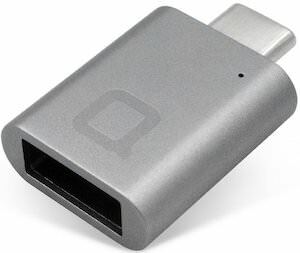 So you got a new MacBook or phone and now it only has a USB-C connector and you wonder how you can connect your old devices. No worries the people from Nonda have you covered as they made a mini adaptor that makes it possible to use you old USB devices in your USB C port. 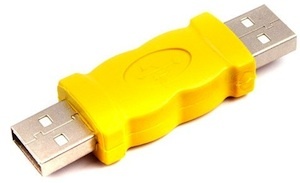 Just plug an old USB A device in the adapter and you are ready to go so now you can connect your iPhone to your Mac and a flash drive, hard drive, and much more will all work as you expect it to do. Come and get your Nonda USB-C To USB 3.0 Adapter. Looking for a plug that has two male USB A connectors so that you can use it as a convert plug? This adapter does that for you and for a price of just over a buck (including shipping) it will not hurt your wallet. Get the right plug for your needs. Order your USB A Male / Male Adapter.